Video calls only work from a phone to another phone, but they do work even if the person you’re calling is on a different platform – so iOS to Android or Android to iOS, no problem. The big caveat is a geographical one. For now, the new feature will work only if you’re in Belgium, Canada, Croatia, Denmark, France, Greece, Ireland, Laos, Lithuania, Mexico, Nigeria, Norway, Oman, Poland, Portugal, the UK, the US, or Uruguay. 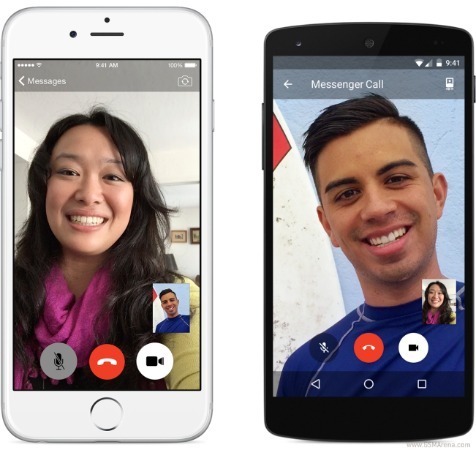 For everyone else, video calls will be rolled out “over the coming months”. A video call is easy to start from any conversation, by simply tapping on the new icon that will show up at the top right. It’s literally a one-tap affair. With more than 600 million people using Facebook Messenger every month, clearly this new functionality may have an impact on competing services such as Skype. And it’s one more reason not to leave Facebook’s apps.